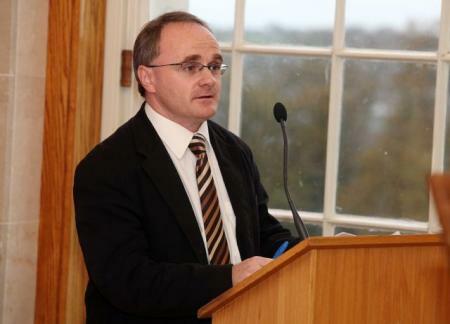 Despite pressure from friends and family, it is rumoured that Sinn Fein’s Barry McElduff will not be baring his backside in a Kim Kardashian-style photo-shoot to raise money for the flooded areas around Derrytresk. Carrickmore have confirmed that the calendar will go ahead with one definite photo already leaked on social media of Conor Gormley wearing only dungarees and shovelling manure in a field, winking at the camera. Women across Tyrone have described the news as ‘catastrophic’, with one 45-year old from Kildress claiming she hardly feels like bothering with Christmas this year. Other confirmed closely-guarded names for the calendar have been hard to acquire but we do know that Owen Mulligan, Malachi Cush, Jimmy McGuinness and Fermanagh journalist Declan Bogue were rumoured to have been spotted wearing suspicious-looking trench coats in various ramparts and ditches around the area over the weekend. Meanwhile, a Derrytresk Community spokesman has asked for more snorkels to be send to the area urgently. Posted on November 15, 2014, in Carrickmore, Derrytresk, Kildress and tagged barry mcelduff, Carrickmore, conor gormley, declan bogue, Fermanagh, jimmy mcguinness, Kildress, kim kardashian, Malachi Cush, owen mulligan, Sinn Fein. Bookmark the permalink. Leave a comment.